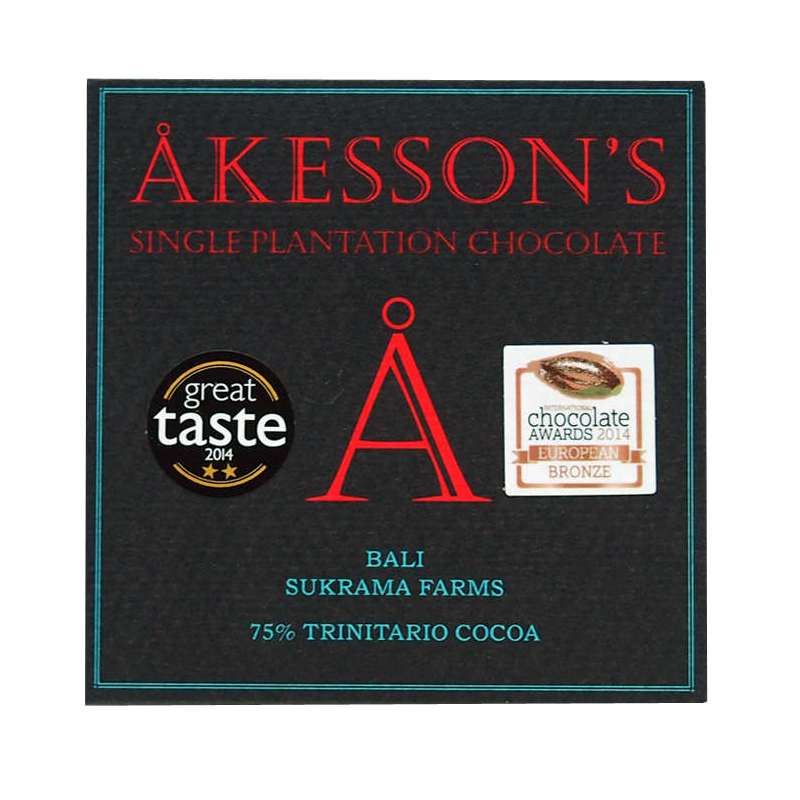 Åkesson’s careful roasting and use of cocoa butter makes this a bar that combines both creaminess and lingering intensity. Deep chocolatey notes are accompanied by expressive hints of spices along with mango and other tropical fruits. 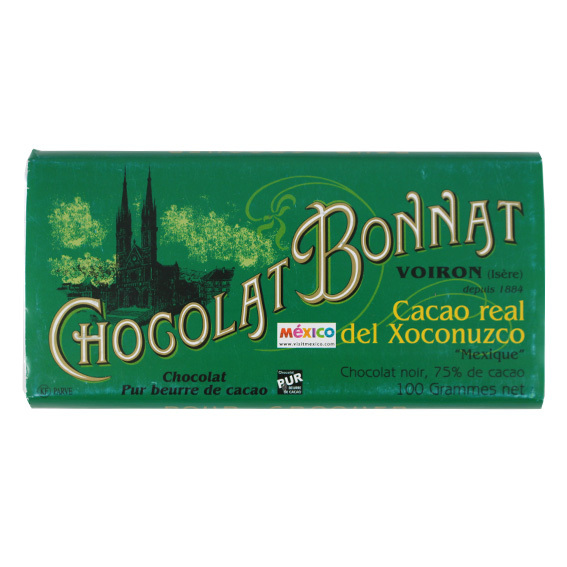 This is a robust chocolate. 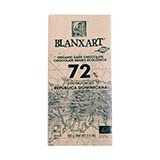 The Trinitario beans for this bar are grown in the Melaya area of western Bali, produced on farms owned by the Sukrama family who cultivate 8000 cocoa trees over 7Ha. Particularly noteworthy is Åkesson’s support of Big Tree Farms in Bali, in a joint commitment to preserve traditional farming by developing socially, ecologically and economically sustainable supply chains. 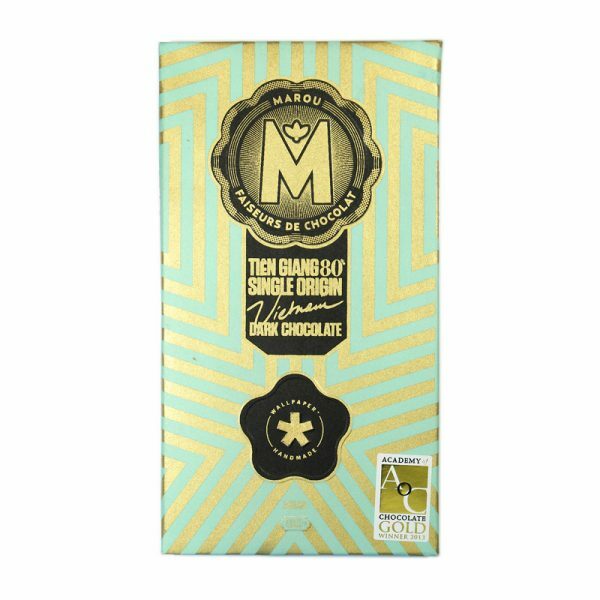 This bar in particular is the first Bali Single Estate chocolate ever made in Europe! 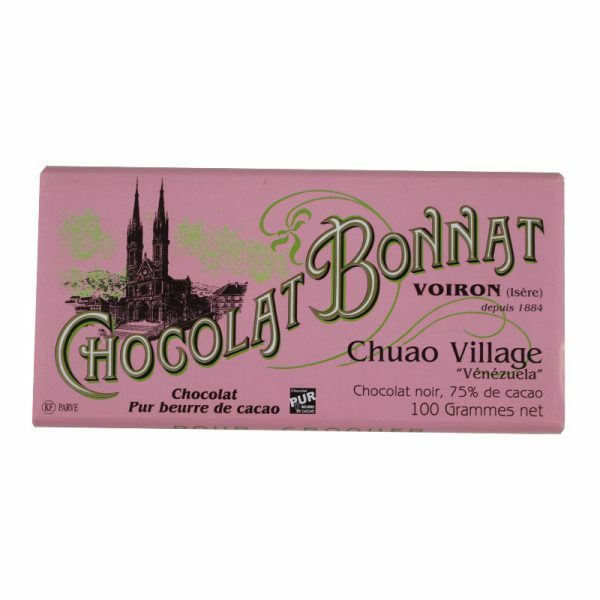 Beans sourced from the Sukrama family are fermented, dried and prepared by Big Tree Farms, with chocolate then handcrafted in France. Bertil Åkesson is one of the true heroes of the bean to bar market, pioneering the direct sale of his single estate beans to over three hundred chocolate makers all over the world. Born to a Swedish diplomat father and a French mother, Bertil grew up in Madagascar, where his family settled in the 1970s. There, his father established a number of cocoa and spice plantations which Bertil has expanded. Today bars made with Bertil’s beans win prizes all over the world and this single origin dark bar that he has crafted is no exception. Cocoa, pure organic cocoa butter, emulsifier (GMO-free soya lecithin). May contain nuts, dairy and lactose, almonds and gluten.